The Bronx’s N.O.X. Coven and Crow Magnum MC have been added to the Sabbat homepage of New York by Night. The first group of Toreador have been added to New York by Night, the “Cathedral Coterie.” This group includes the clan leader, several important ancillae, and a pair of Malkavian pretenders. Notes on the Sabbat Hierarchy in New York by Night have been added to the Sabbat page. Just in time for Halloween, I have placed a revised version of my Sabbat homepage on New York by Night. Chock-full of purple prose and overwrought gothiness, it’s pretty clear I really love the Tzimisce, and probably should have been playing a Nephelim game. My old Vampire: The Masquerade campaign, “New York by Night,” is finally back open for business! There’s still a lot to flesh out, but the main structure is in place. I plan to have a revised version of the site fully restored within the next sixth months. A Brief History of Clan Toreador has been added to New York by Night. This traces the clan’s origins from their mythical progenitor, Arikel of Enoch, to the original “Toreador,” Sebastián Tristámara y Luna, to the modern clan in New York City. The Wissengeist have been added to New York by Night. A bloodline of the Toreador founded during the Enlightenment, the Wissengeist labor on the Great Work using the tools of alchemy, metaphysics, and science. The Toreador’s subterranean cathedral of Santa de Luzarches has been added to New York by Night. This legendary guildhouse contains the great pipe organ Aoidé, features diverse wonders from the Garden of Stone to the Mirror of Don Quixote, and protects seven inviolable chapels dedicated to the clans of the Camarilla. Come for Veronica Tryst’s stained glass windows, but stay for the Malkavian coffee! I have added Campaign Notes & Expansions for Chaosium’s Beyond the Mountains of Madness—fifteen pages of notes, suggestions, variations, and expansions for use in this epic campaign to Antarctica. I have added my significantly expanded version of the S.S. Wallaroo, the derelict factory ship the investigators explore in Chaosium’s Beyond the Mountains of Madness. 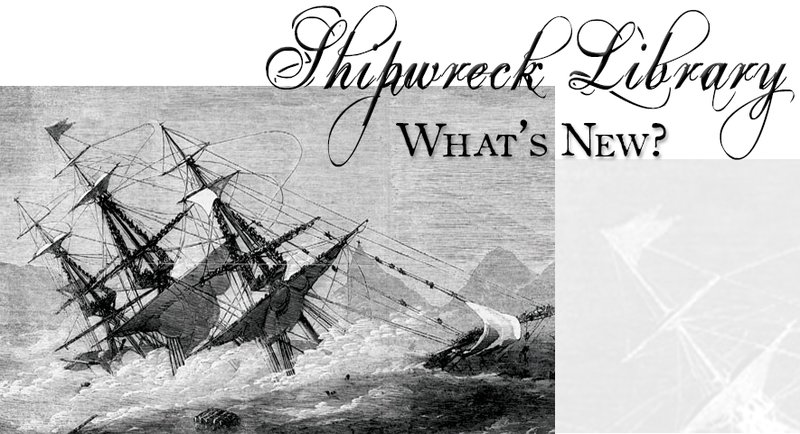 Now with 100% more insanity, dead whales, and mangled seamen! Although this encounter is intended to be used for the BMM campaign, with a little work, it could be adapted into any ice-bound nautical scenario. The HPL Historical Society has a lovely prop based on Lovecraft’s The Call of Cthulhu—the Cthulhu Tupilak. An evil idol carved from a walrus tusk, I have written a full description of the artifact and its powers for use in a Call of Cthulhu game. A few Handouts have been added to my companion page for Beyond the Mountains of Madness. The Call of Cthulhu section opens with the S.S. Gabrielle, an alternate version of the tramp steamer from Chaosium’s Beyond the Mountains of Madness. The Strigoi have been added to New York by Night. A bloodline of the Nosferatu, these Romanian witch-vampires also make excellent adversaries for Deadlands and Call of Cthulhu! I’m finally getting around to putting my old New York by Night Vampire: The Masquerade campaign back online! Hurray for 1999! Looking to get your hands on a Locke & Valentine “Hesselius” pistol or fire a Loveless Prophet? Think a “Tennessee Twister” may be the best defense against a Communard Crossbow? You’ve come to the right place, pardner. The Fictional Firearms section of the Armory collects all the guns invented for Deadlands 1876 on a single page for easy reference. I added a general Links page to the site. A section on Breech-Loading Pistols has been added to the Armory. This page details single-shot breech-loaded pistols and “pocket rifles,” including the Queen Anne flintlock, the Sharps, the Marston, the Perry, the Rollin White, the Frank Wesson tip-up, the Westley Richards “monkey-tail,” the Remington Rolling Block, the Stevens“Bicycle Rifle,” and the rare Winchester pistol. It also profiles the fictional Locke & Valentine “Hesselius” and LeMat’s “Vacherie” Single-Shot Pistol. The Calisher & Terry Carbine and the Palmer Carbine have been added to the Bolt-Action Rifles page of the Armory. The Muzzle-Loaded Pistols section of the Deadlands Armory has been expanded with notes on trap guns and spring guns. Other new additions include Ethan Allen percussion pistols and the bizarre Yerty “Horseshoe” gun. Also, a PDF of the section has been included, available at the bottom of the page. A few new Skills have been added to New Skills & Edges. Welcome to the 7th Cavalry Regiment under General George Armstrong Custer! This major resource profiles the 7th Cavalry on the eve of Little Bighorn, and includes a brief history of the U.S.Cavalry, a description of Western military life, a catalog of weapons and equipment, notes on cavalry tactics, and detailed NPC profiles ranging from generic cavalry troopers to Custer’s actual junior officers and scouts. A major page detailing the Black Ghost Nation War Societies has been added. Intended as powerful native adversaries, these groups include the Crazy Dog berserkers, the psychedelic Rattlesnake Veterans, the bizarre Cheshká Máza tricksters, the Amazonian Skull Dancers, the bestial Black Spiral Dancers, and the grim Black-Handed Widows. With the return of Twin Peaks, I thought I’d finally repost my explication of David Lynch’s Mulholland Drive, “No hay banda.” Originally published on The Modern Word in 2002. The “Walk the Ghost Roads” Power has been added to the Deadlands Grimoire. This Power opens the ancient Anasazi “Ghost Roads,” allowing the caster to travel great distances by passing through the mystical Third World. It also includes the “Ritual of the Black Sipapu,” which allows a Walker to create a temporary gateway through time and space. The “Call Weather” Power has been added to the Deadlands Grimoire. The “Deadlands Grimoire” section has been opened, with “Implant Suggestion” and “Wilderness Ally” as its first two additions. The “Deadlands Organizations—Sioux Nation” page has been significantly expanded. The section on “Sioux Culture” now includes notes on Sioux customs, diet, use of tobacco, and gender roles. Notes on the the “wínkte” and the “heyókha” have been added. A few images have been added to the page, and a PDF version has been included. A page detailing the colorful Sioux War Societies has been added, with notes on several historical okȟólakičhiye, as well as the fictional Wanághi Wachípi society. Named after the northern lights, this society forms the nucleus for the Deadlands version of the Sioux “Ghost Dance” movement. Interested in knowing the difference between a shirt-wearer and a Big Belly? A section on Sioux politics was added to the “Deadlands Organizations—Sioux Nation” page. The apocalyptic Black Ghost Nation has been added to the Deadlands Organizations section. Designed as a major campaign antagonist, this cult of “Shikshichela” broke away from the Itázipčho tribe after the Great Quake, and is dedicated to regaining Sioux lands by any means necessary. The Deadlands Armory has been expanded with a new section on “Muzzle-Loaded Pistols.” Just in case you feel the need for a duel, perhaps; or to put a Jacobite bullet into Black Jack Randall. The arcane sword Diente Sombrío was added to Deadlands Relics. Once owned by Francisco Vázquez de Coronado, this bloodthirsty sword was carried all the way to Alkali Lake, Nebraska on the conquistador’s mad quest for the Seven Cities of Gold. The Kendall Underhammer Rifle was added to the “Muzzle-Loaders” section of the Deadlands Armory. This profile also features a brief history of the famous Robbins & Lawrence Company, along with a harrowing story about a squirrel, a gunshot haircut, the exploitation of Vermont convicts, and a counterfeiter who finds redemption. The “Firearms Rules” section has been revamped, with corrections on reloading times, notes on Maynard priming tape, and new rules for extreme-range “crack shots” and “point blank” range. Feel like hunting big game during the Victorian era? The “English double rifle” and the Lancaster Four-Barrel Express Rifle were added to the “Breech-Loaders” section of the Deadlands Armory. Elegant and deadly, the Marston Percussion Rifle was added to the “Breech-Loaders” section of the Deadlands Armory. It gives new meaning to the Judas Priest album, Hell Bent for Leather! Did you ever want to see the result of a centipede mating with a steampunk rifle? The very weird Jennings Repeating Flintlock and the slightly-less weird Ellis-Jennings Repeating Flintlock were added to the “Muzzle-Loaders” section of the Deadlands Armory. The unique Triplett & Scott repeater and the fictional Triplett & Scott Mark II repeater were added to the “Lever-Action” section of the Deadlands Armory. All hail Kentucky! This completes this section for the foreseeable future. Benjamin Joslyn’s Model 1862 and Model 1864 carbines were added to the “Breech-Loaders” section of the Deadlands Armory. Old Ben is probably still seeking renumeration. The Joslyn “Monkey Tail” carbine of 1855 was added to the “Breech-Loaders” section of the Deadlands Armory. I’m a Pennsylvanian living in New York. Of course I love Zouaves! The Remington Model 1863 Percussion Contract Rifle, aka the “Zouave” Rifle, was added to the “Muzzle-Loaders” section of the Deadlands Armory. A dozen new firearms were added to the “Breech-Loaders” section of the Deadlands Armory, including the Revolution-era Ferguson rifle, the U.S. Model 1819 Hall rifle, the Ethan Allen Falling Block Rifle, and five Civil War carbines—the Smith, the Gallager, the Cosmopolitan, the Starr, and the Morse. I also expanded the introduction to discuss Creedmoor and Schuetzen rifles. Ballard and Marlin-Ballard rifles were added to the “Breech-Loaders” section of the Deadlands Armory. In the “Breech-Loaders” section of the Deadlands Armory, the entries on the Sharps Rifle and the Remington Rolling Block were both expanded considerably, with brief histories provided and many new models profiled, from the Sharps “coffee grinder” carbine to the fictional Remington Model 1874 “Gotham” carbine. Frank Wesson Falling Block rifles were added to the “Breech-Loaders” section of the Deadlands Armory. The M1867 Werndl-Holub was added to the “Breech-Loaders” section of the Deadlands Armory.